Following last Wednesday’s deadline, the New York State Gaming Commission has announced that, in all, 22 groups have applied for upstate casino licenses, far more than was initially expected. Each company paid $1 million for the privilege to compete for one of four licenses in three separate regions: Albany-Saratoga region, the Catskills, and the Southern Tier. 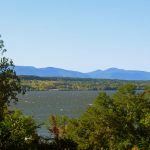 The Catskills area, which includes Orange County to the south, is the closest to New York City and so naturally was the most popular with bidders. It includes a clash of the titans, too, with casino giants Caesars and Genting both going for a license in Orange County. 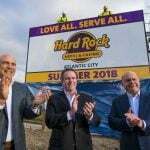 Others pursuing developments in the Empire State are the Saratoga Casino and Raceway; Baltimore-based Cordish Companies, and Alabama gambling hall owners Greenetrack. The interest in Orange County is sure to please state governor Andrew M. Cuomo, who has encouraged casino companies to consider the area as it is in need of an economic boost, and that means these bidders may have a better chance of success. Deeper into the Catskills, Foxwoods is collaborating with Muss Development on a resort in the town of Liberty in Sullivan County; while the Mohegan tribe and Empire Resorts (Monticello Casino and Raceway) are both proposing projects, also in Sullivan County, as are Trading Cove New York, a partnership between the Stockbridge-Munsee Band of Mohicans and casino developer Len Wolman. Nevele Investors, meanwhile, is looking to redevelop a defunct “Borscht Belt” resort. Albany has five interested parties: Saratoga Casino and Raceway is looking at East Greenbush, while Capital Region Gaming is planning a venture just south of Albany. Howe Caverns, in Schoharie County, has announced it is looking to partner with a casino operator in order to offer gaming at the popular tourist resort, and Pinnacle Entertainment is interested in a Rensselaer County site. Cordish has also said it’s interested in the area, but hasn’t announced a site as yet. Competing for the Southern Tier – the narrow strip in the west of the state that runs from Binghamton to the Canadian border – will be Rochester-based development firm Wilmorite Inc., the Tioga Downs Racetrack and Traditions at the Glen Resort and Conference Center. Four other companies have not yet stated which region they intend to bid for: Rolling Hills Entertainment, NYS Funding LLC by Och-Ziff Real Estate, Hudson Valley Gaming, LLC, and Canadian firm Clairvest. Governor Cuomo was delighted by the amount of interest in the application process. 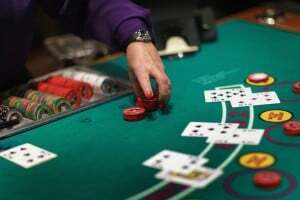 The deadline to submit full proposals is June 30 and a panel of the New York State Gaming Commission will decide in the fall which operators will receive one of the four licenses. If applicants fail to submit their proposals by the deadline they will receive their $1 million application fees back. Within their applications, all candidates are required to demonstrate the economic benefits of their proposals, and that they will be ready to open their resorts in 2016. They must also have sufficient local support for their projects. Winners would have to pay licensing fees of $20 million to $70 million, depending on their chosen area.